Size 6.0": Coarse single sided blender with 7 teeth. Size 7.0": Coarse single sided blender with 10 teeth. 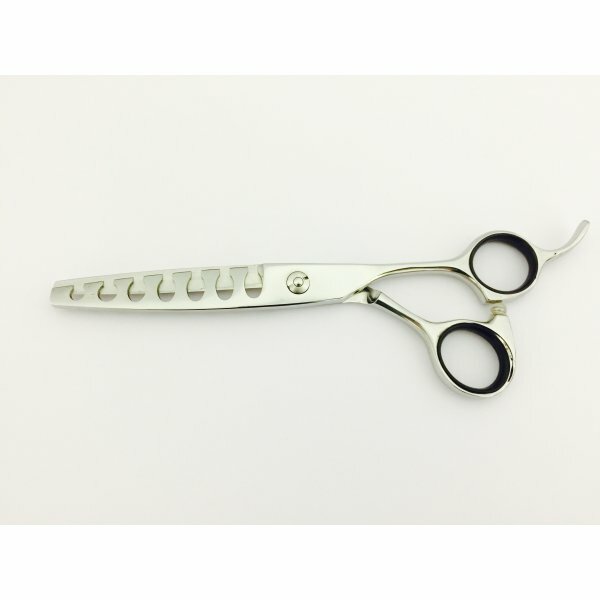 Small sized Blending Scissors which are ideal for coarse haired breeds to add correct texture and feel. 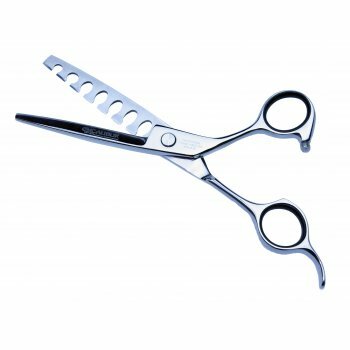 The Excalibur X25 Model of thinning scissors are incredibly professional dog grooming scissors, which come in an eye catching & most incredible matt black or stunning silver. They are extremely well balanced and lightweight. The Excalibur X25 Grooming Scissor features ergonomic offset handles and bows, which feel like they mould to your fingers and thumb with ease compared to opposing circular bows. The Excalibur X25 scissor is hand finished to create a perfect cutting edge with the smoothest and quietest cutting action. 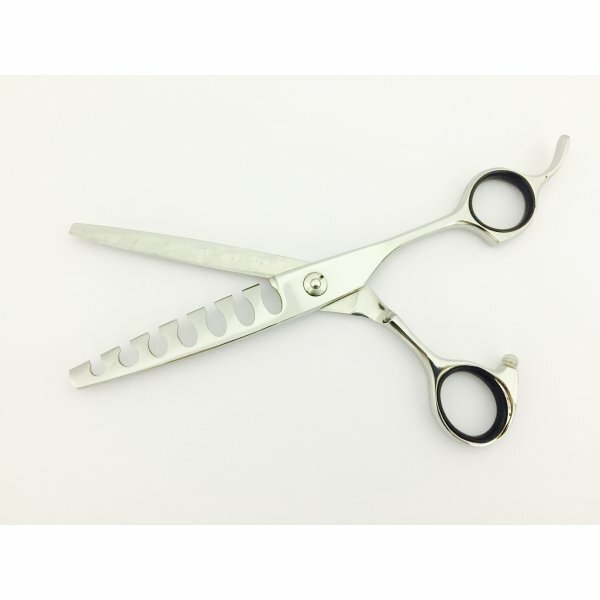 Combined with an the option of an extremely elegant diamanté or gold tensioner, these shears will truly stand out from the crowd.